Both Firefox and Chrome browsers have add-ons where you can highlight selected text. It basically works like an actual highlighter pen but the major difference is that you get to highlight text from online web pages or articles. The thing is most highlighter pen tools only give one color which is yellow. So what if you want to customize the highlight color and change it to green or blue or red? Well, if that’s the case and you’re using Firefox, then you may follow the steps listed below. 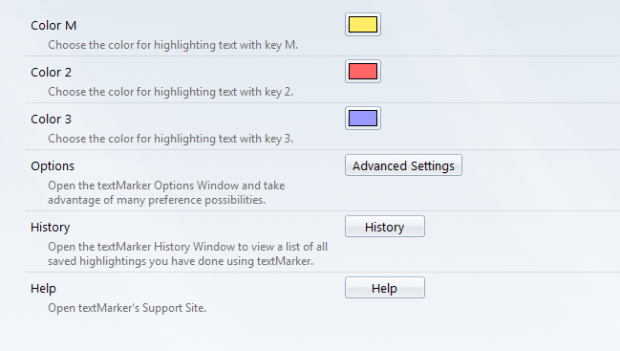 Open or launch your Firefox browser and then click here  to go to the download page of “Textmarker”. On the Textmarker add-on page, click the “Add to Firefox” button to install the said add-on on your browser. Once successfully installed, you don’t need to restart your browser. By default, you can instantly highlight selected text on any web page by pressing the “M” key on your keyboard. The default highlight color will be yellow. If you want to highlight selected text with a different color, you may press the “2” key or “3” key instead of “M”. Now, if you want to change the highlight colors for Textmarker, just go to Menu > Add-ons > Extensions and then click the “Options” button for Textmarker. On the options page, you’ll see the add-ons default options and preferences. 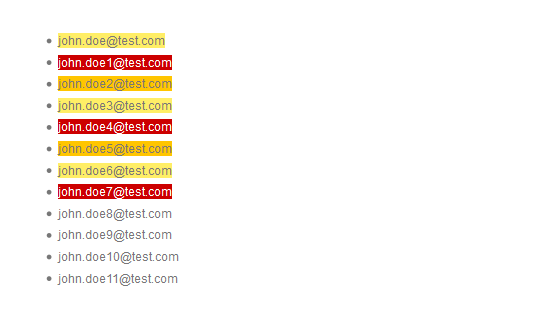 Select your desired highlight color for “M”, “2” and “3” and the changes will be automatically saved. If you want to delete or undo your highlights, just press “Ctrl + Z”. You may press “Ctrl + Y” to redo your highlights.